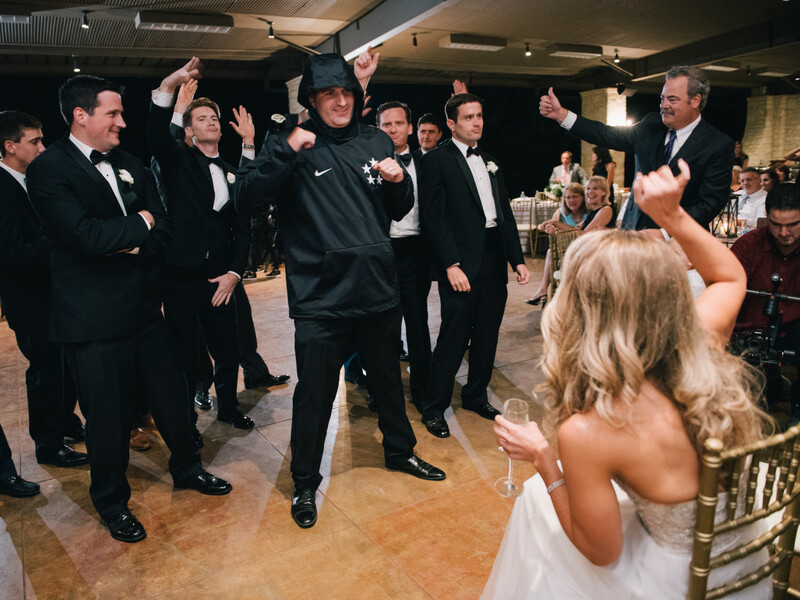 Romantic, playful and outrageously fun — the wedding of Bethany Hartland and Matt Hibbetts combined so many diverse elements that no one will ever forget that night. 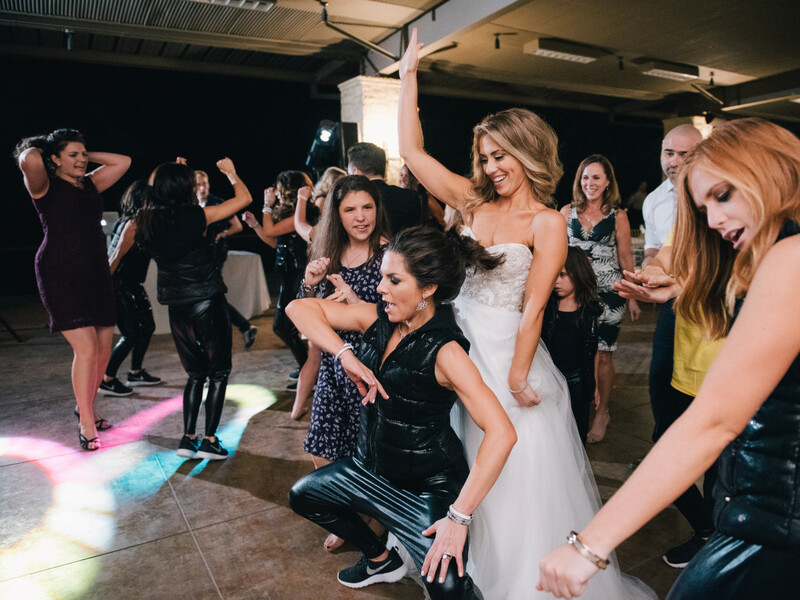 Think flash mob dancers, hoodies, rap tunes, margaritas and fajitas — and the white wedding dress, ceremony with priest, bridesmaids, groomsmen and the works. Matt says that he fell in love with Bethany the first day he met her when they were both working at Salient and she popped her head into his office and said "What's up kid?" He never asked her out however, until she had landed a jobas a child life specialist at Children's Memorial Hermann Hospital. One year later to the day of that first date, he proposed. It took at least that long for the Matt to meet Bethany's10 sisters and three brothers. Fast forward to Houston Oaks in Hockley where the wedding was held. 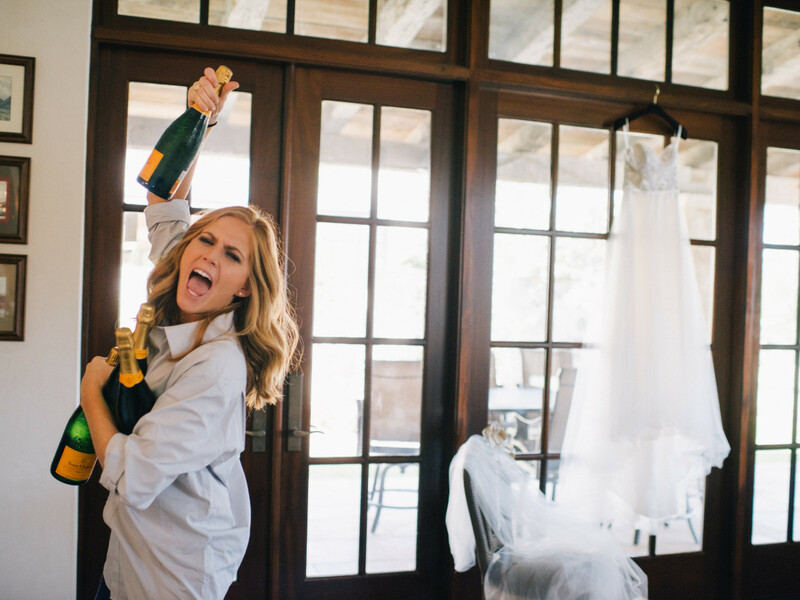 When the wedding day prep begins with cases of Veuve Cliquot, you know it's going to be a good one. 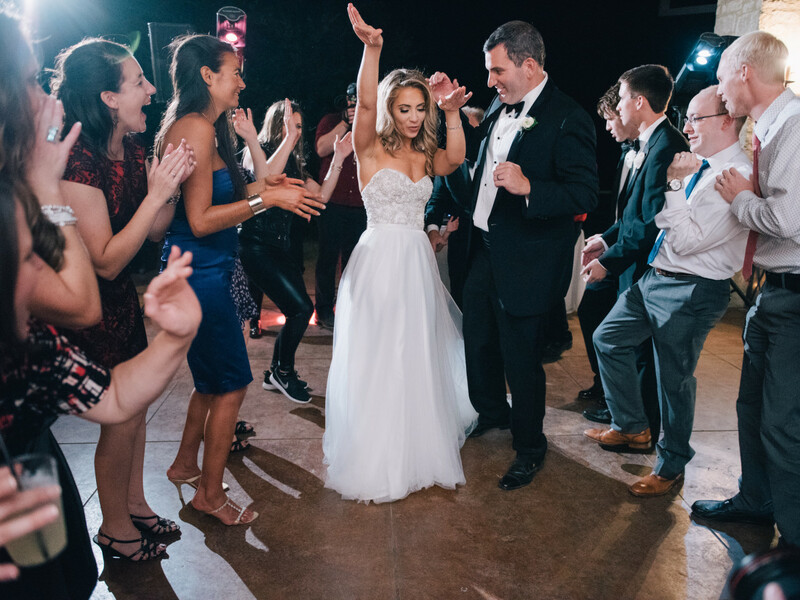 The enthusiasm that Bethany exhibits here was evidenced throughout the wedding day. The lively wedding crew: Amber Hartland, Sarah Hartland, Bethany, Monica Hartland Blaisdell, and Rebekah Hartland. These were just four of the bride's 10 sisters. She also has three brothers, all by the same parents — Joan Hartland and Charlie Hartland. All attended the wedding. The bride's gown is by Winnie Couture, the bridesmaids' gowns by BHLDN. 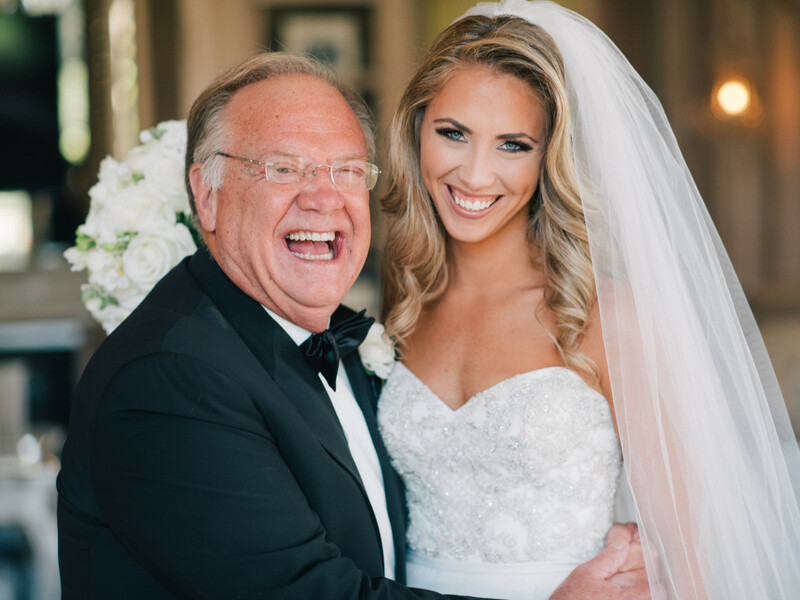 Charlie Hartland shares a gleeful pre-ceremony moment with the bride. 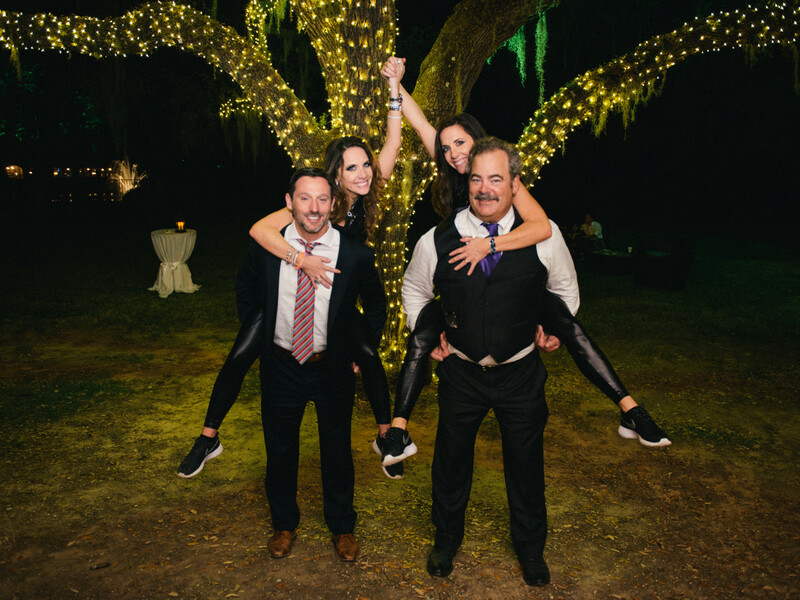 The couple chose Houston Oaks for their wedding because Charlie has a home there and the large family has spent many holidays and birthdays celebrating outside of Houston. 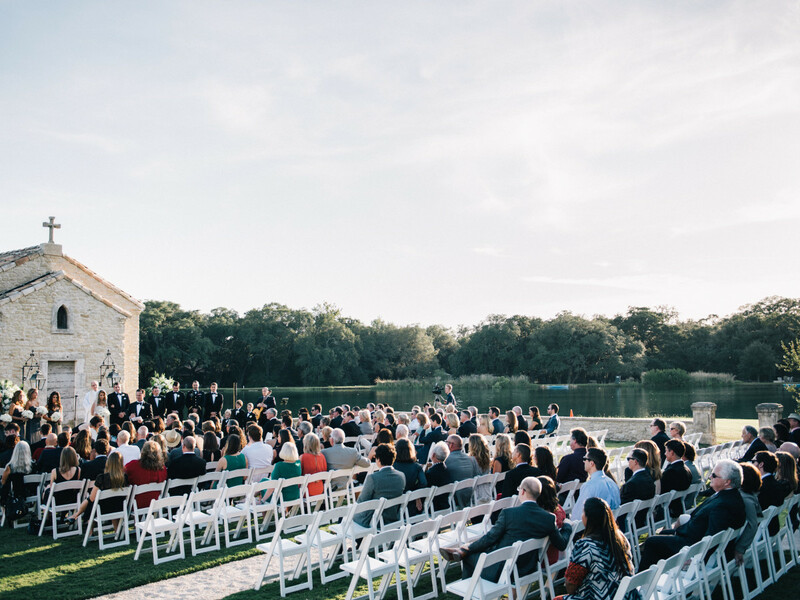 "It has beautiful outside venues, huge oak trees, beautiful lakes and both of us love to be outside," Bethany emailed. 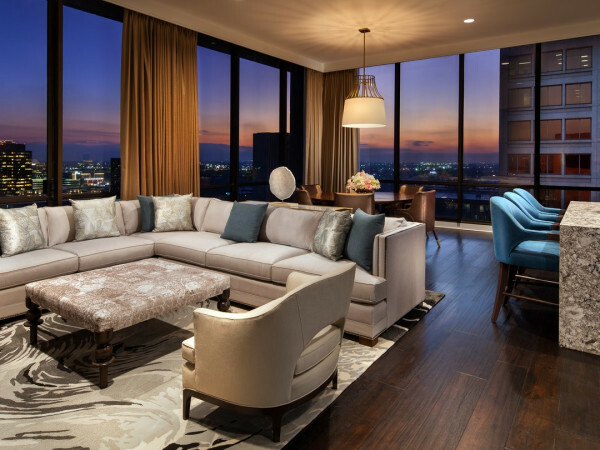 "The country club further provided the perfect comfortable atmosphere and that we were very familiar with, where we knew all of our family, guests and their children would have a great time!" 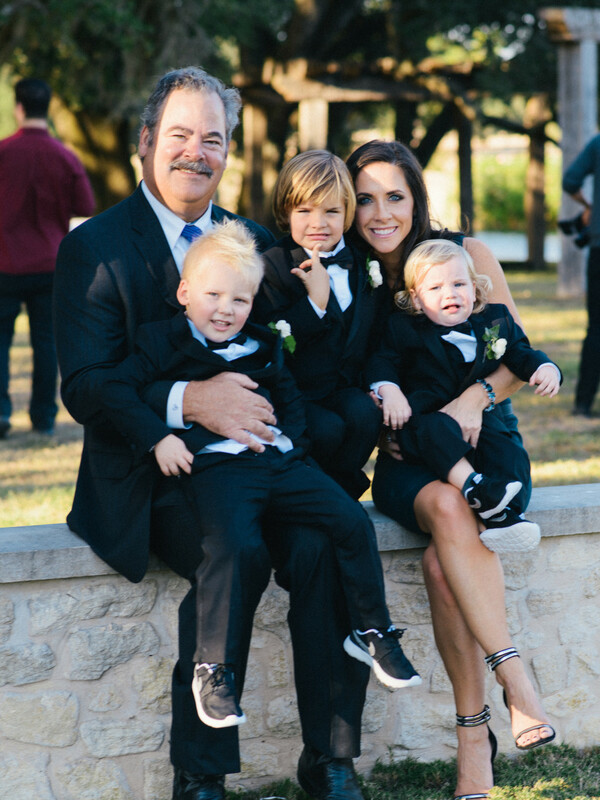 And plenty of children were there including Cal and Hannah McNair's three young sons. Cal is Houston Texans vice chairman and COO. Joanna Hartland Marks and the bride. 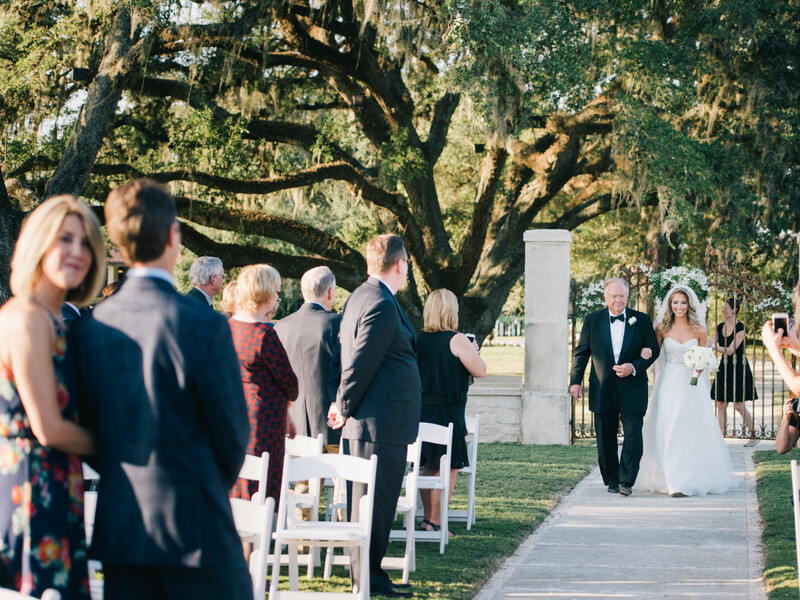 The massive oaks of the country club provide a leafy bower for the walk down the aisle. 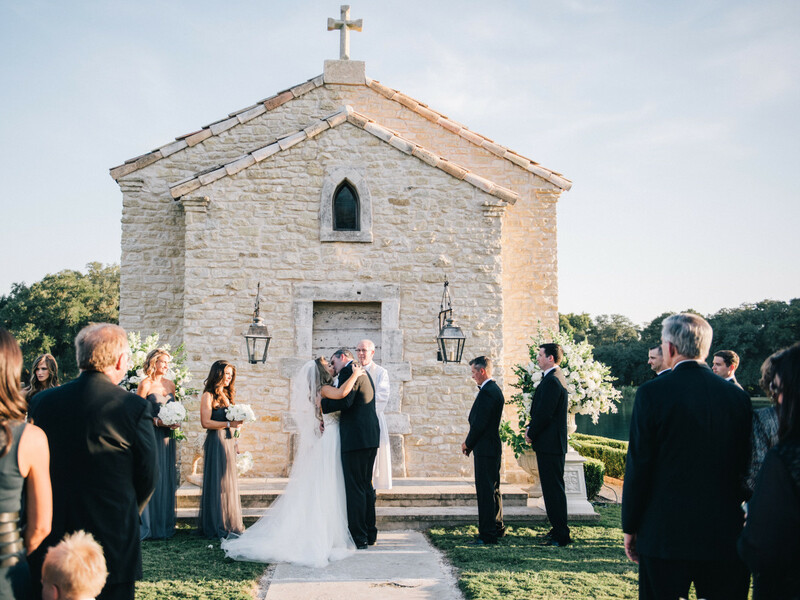 While smaller weddings take place inside the 15th century French chapel, the Hartland/Hibbetts nuptials, with close to 200 guests, took place at the chapel entrance. 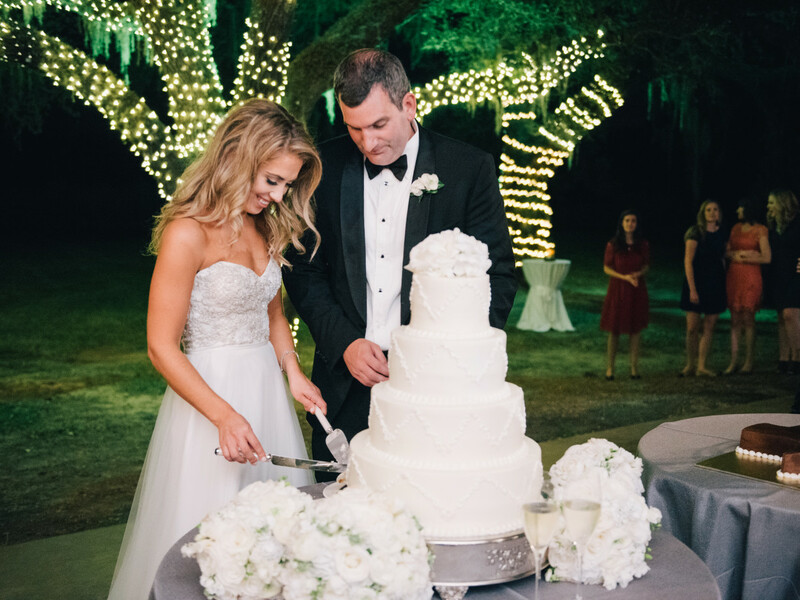 The Houston Oaks outdoor wedding venue rests on a peninsula surrounded by an 11-acre lake. Mr. and Mrs. Matt Hibbetts, the calm before the party storm, fueled by margaritas and a love of life. 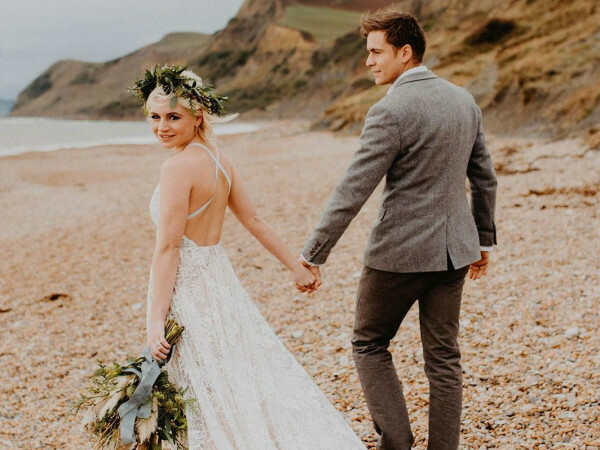 "We are very much a relaxed couple and wanted to celebrate the start of our marriage with our family and friends," Bethany emailed. "And the best and most friendly food to us is Mexican food and margaritas." 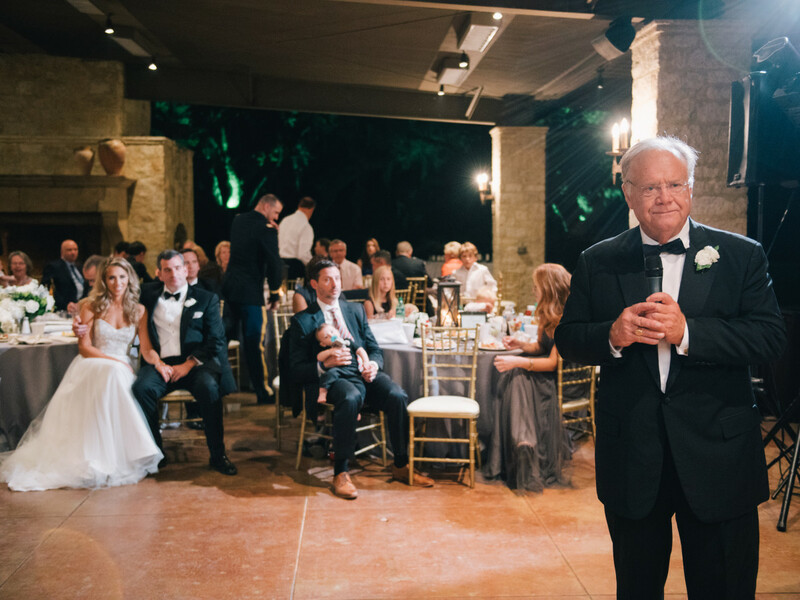 Charlie Hartland leads off the toasts for the newylweds. 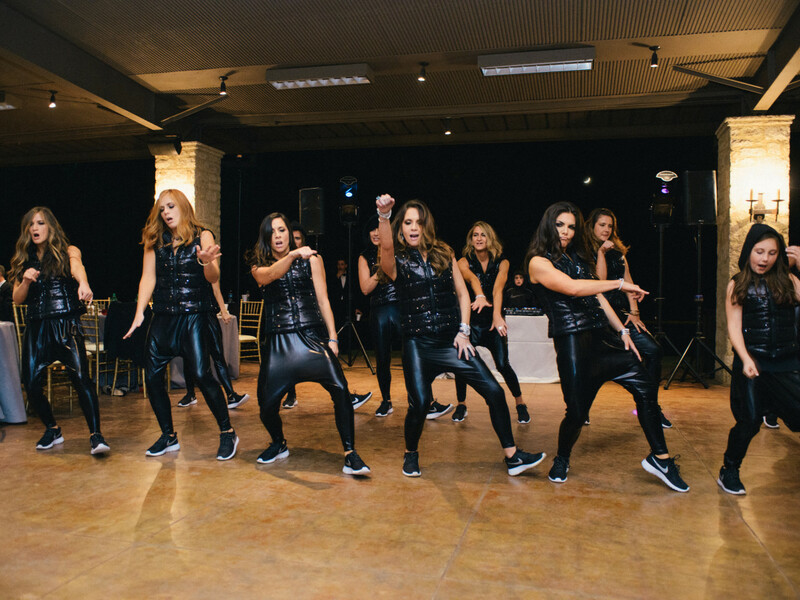 The bride's sisters, brothers and nieces and nephews surprised wedding guests by slipping into black leather hip hop attire for a flash mob dance. Bethany was even more surprised when Matt donned a hoddie and rapped to "Crossroads" by Bone Thugs-n-Harmony. The bride and groom join in the riotous fun. 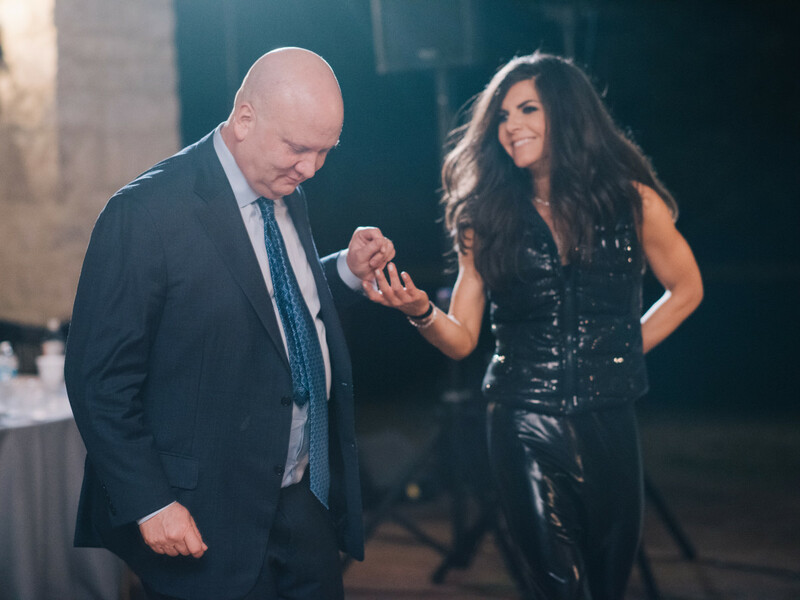 John Blaisdell and Monica Hartland Blaisdell on the dance floor. A memorable night for the Hartland and Hibbetts families as they rock to the sounds of DJ Damon Pampolina. 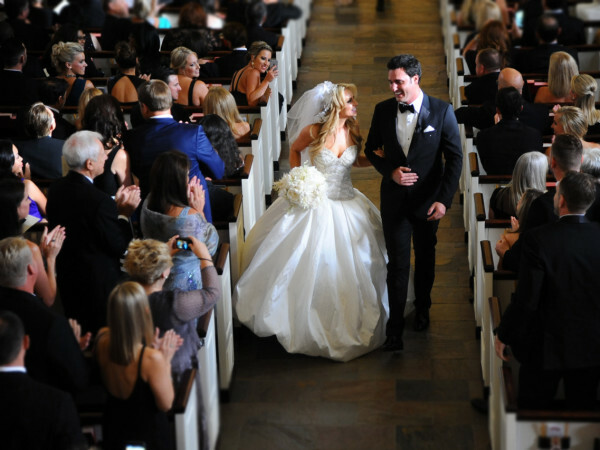 Yet another surprise was in store for the couple, a surprise that had the bride in tears. 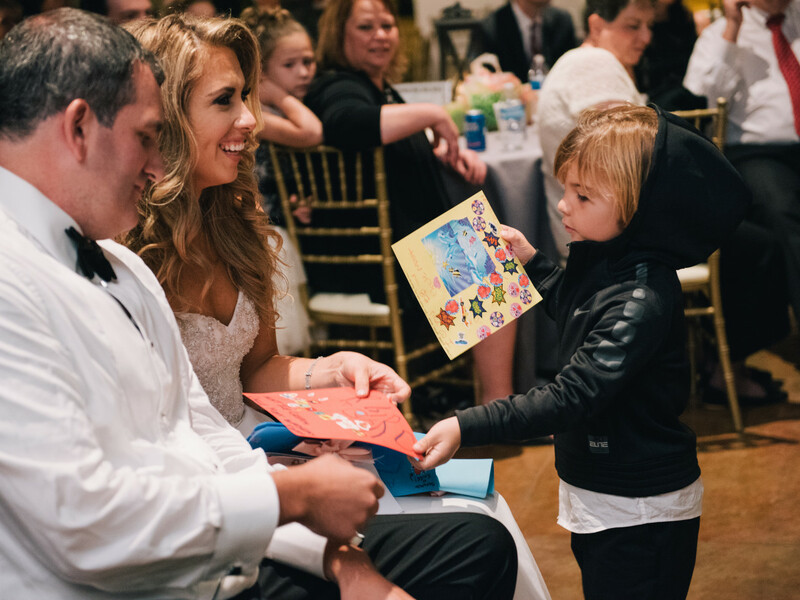 "At the end of the flash mob, my nieces and nephews handed Matt and I pictures and letters they had created along with a framed picture of one of my patient's handprints." A quiet moment in the Houston Oaks garden. Identical twin sisters Joana Hartland Marks with I.W. Marks Jewelers' Brad Marks, left, and Hannah Hartland McNair and Cal McNair take a walk on the wild side. 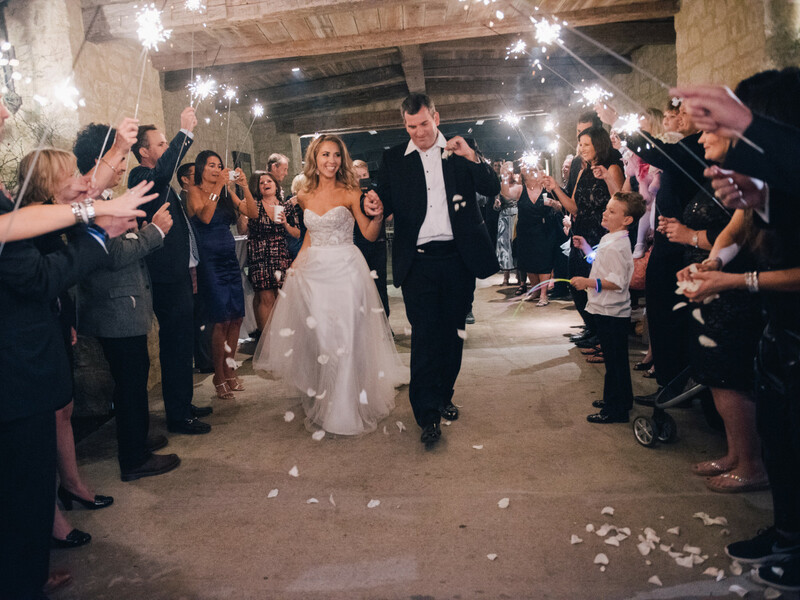 Sparklers and rose petals lead the way for the departing couple.